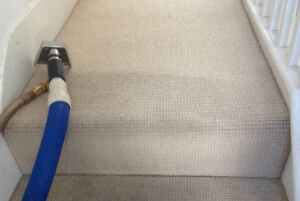 Liverpool L2 Steam & Dry Carpet & Rug Cleaning Services | Quality Property Care Ltd.
You can call us at 0151 673 0008 where our staff eagerly awaits your phone call. Get in touch with our professional company and learn more about some other advantages of the service as well as how you can save time and money with Quality Property Care Ltd. commercial and domestic rug and carpet cleaning service in Liverpool L2. There are a lot of different rug and carpet styles out there and we’ve ensured to be able to clean them all effectively. Our technicians use a different method for all different kinds, which allows us to properly and safely clean both synthetic and natural fibres. We can clean synthetic, wool, cotton, linen, silk, viscose, organic fiber, chenille, plush, suede, nubuck, leather, acrylic. With years we’ve managed to refine our stain removal procedures to a science allowing us to remove not only oily stains, paint, rust, blood, tea, coffee, vomit, wine and moth damage, but also cope with synthetic and organic and synthetic stains. Quality Property Care Ltd. is a reliable and well-known professional rug cleaning company. It has more than TEN years of rich experience in the field. Through the years, we have acquired the best rug cleaning methods. They are customized for effective and faultless carpet stain and spot removal, as well as to main domestic carpets in top condition. We promise you to brighten and restore any carpet! We are real experts in stain removal. Keep in mind that we can eliminate the following kinds of stains: paint, rust, oily stains, tea, coffee, blood, vomit, wine, moth damage. To ensure proper cleaning approach for each rug or carpet type, the well-trained and educated carpet cleaners are instructed to examine it at first. The modern rug cleaning Liverpool L2 techniques are now accessible and affordable ! In terms of rugs we clean Persian Rugs Chinese Rugs Wool Rugs, Tibetan rugs, area rugs, handmade rugs, shaggy rugs, silk mix rugs, Indian rugs, Play Rugs Turkish Rugs Egyptian Rugs, antique rugs, floor mats, entrance mats, logo mats, rubber mats, industrial mats and anti fatigue mats. If you would like to book a rug or carpet cleaning service, all you have to do is get in touch with the client care line at 0151 673 0008, or use the on-line booking form right here. You will receive written verification as a e-mail and sms message. No deposit is necessary for booking. You will get a serious discount of the professional cleaning price, if you decide to book more than one cleaning service at a time! Call or send the booking form now! Same day booking is available, if you are in a hurry too!